Also known as Bubble Tea and Pearl Tea, I used to get confused; why did this drink have so many different names? Well, after some sleuthing, I learned that originally this beverage was prepared without the tapioca balls. 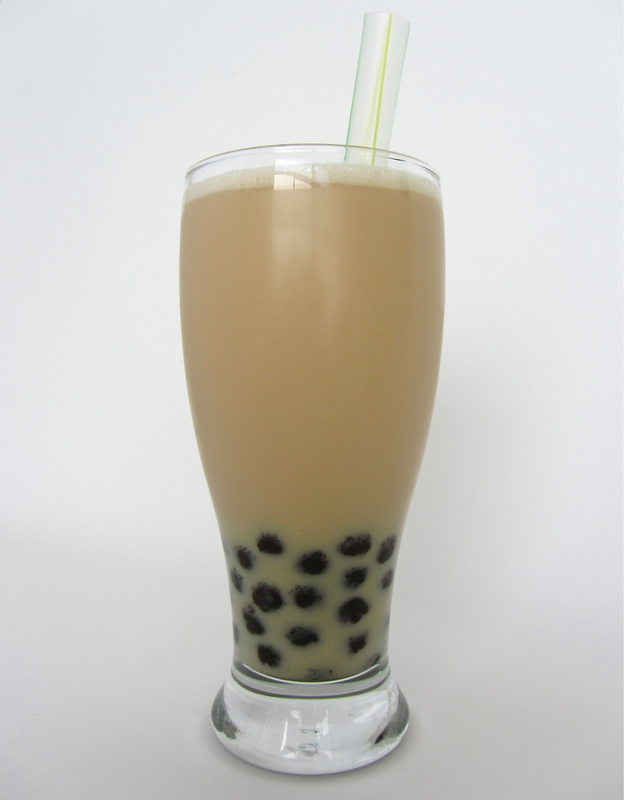 It was simple shaken until frothy, hence the name, “Bubble Tea.” Then, it wasn’t until after the drink had gained in popularity that the addition of tapioca Boba (also referred to as “Pearls”) became the customary norm, transforming this Asian import into the refreshing treat that we know today. And what a great addition indeed! For me, the chewy little tapioca balls are the stars of the show. It’s like getting a mouthful of gummy bears with each sip! Who wouldn’t love that? 1. Brew the black tea, set aside to cool. 2. Cook the boba according to package instructions, until tender and chewy. Transfer boba to a bowl with some of the cooking water – enough to just cover them. Stir in the brown sugar, allow to cool for several minutes, and then spoon into a drinking glass. 3. Combine the tea, condensed milk, and milk into a cocktail shaker. Top off with ice cubes, then cover and shake until mixture is cold and frothy. Strain into drinking glass over the prepared boba. Serve with a wide drinking straw. * This drink can also be served warm. * Green tea is also great to use for this recipe. * I like lots of boba in my drink, feel free to use less or more according to taste. * Don’t have a cocktail shaker? Use a jar with a tight fitting lid instead. Where in the world do you get boba? Clement? Where? Thank you for all your recipes! I love this blog! Yes, I usually go to Clement (May Wah Market, it’s in a section on the back left side). You can find the traditional dark, green, or rainbow colored boba!